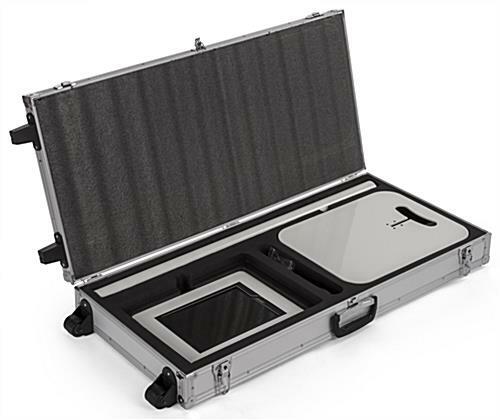 This storage case for convertible iPad stands is perfectly sized to fit our floor to counter tablet holders. 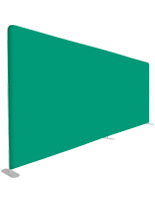 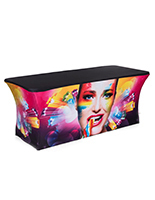 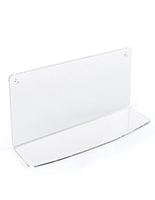 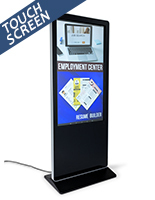 Place a non-graphic iPad holder into the specially die-cut EVA foam padding to provide secure transport to and from a trade show or retail pop-up. 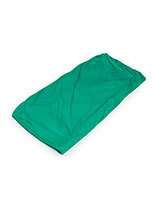 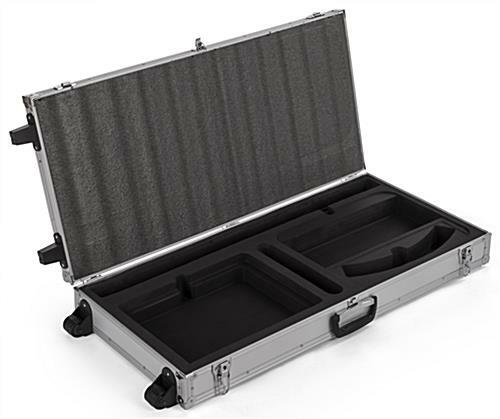 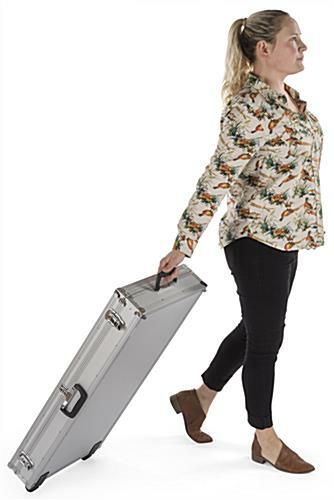 Each portable storage case for convertible iPad stands features 2 wheels for rolling and 2 feet for standing upright. 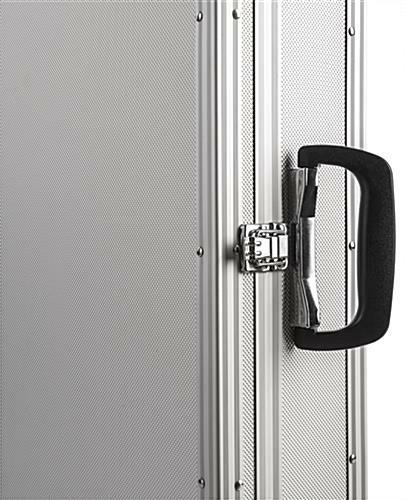 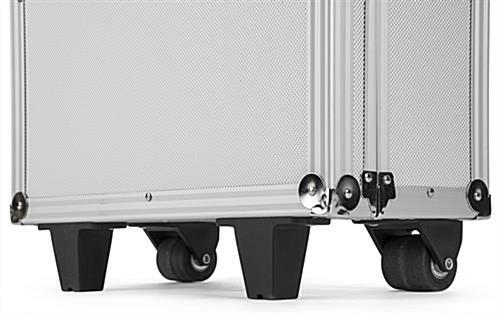 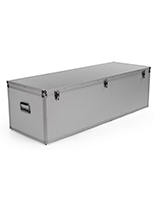 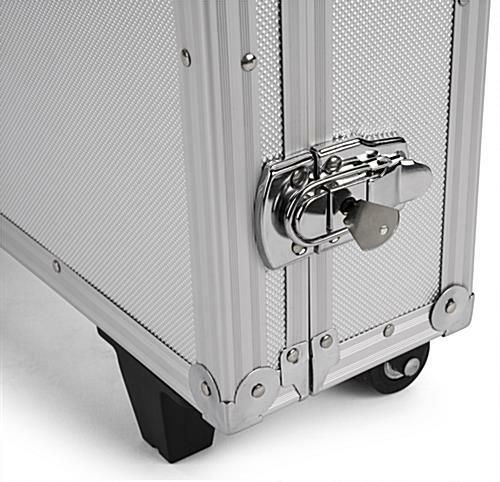 Silver aluminum construction with steel reinforced corners create a travel solution that is both attractive and sturdy. 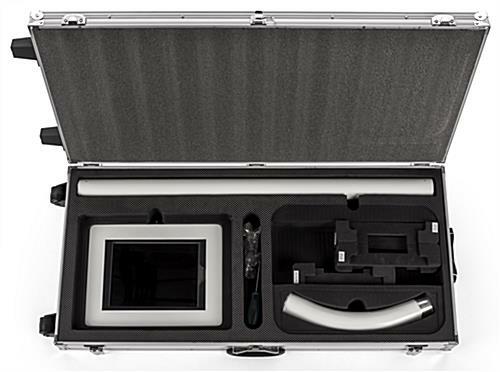 Our storage case for convertible iPad stands is designed for these tablet models: IPEVRFLWH2, IPEVRFLBK2, IPGLXFLRA1, IPPROYIDS, and IPPROYIDB. 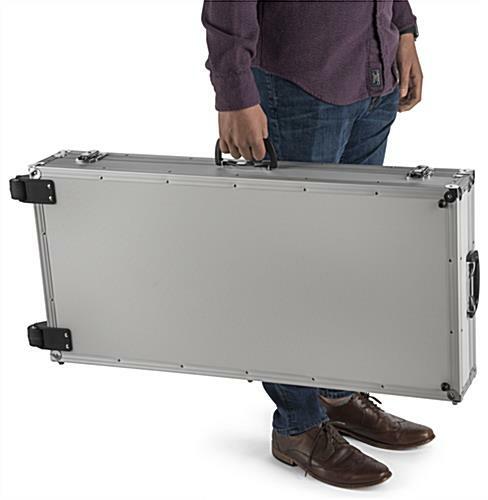 37.0" x 5.3" x 16.5"